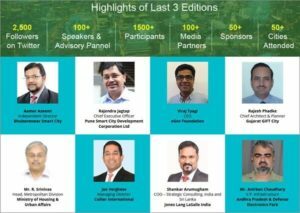 Nispana in association with Swachh Bharat, CMAK (City Manager’s Association, Karnataka) and The Smart Cities India Foundation will be hosting The 4th Annual Sustainable Smart Cities India in Bengaluru between 06 & 07 September 2018. 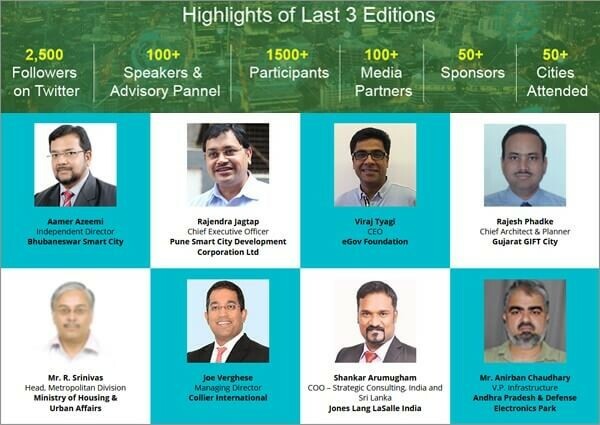 Smart cities financing has become a challenge for urban local bodies, hence it is vital for Central and State Government, Investors, urban local bodies, technology players, private companies and stakeholders to collaborate towards the success of Smart Cities Project. SSCI provides a great platform for these key officials and decision makers to collaborate. Get a chance to meet solution seekers to showcase your products & services and get noticed. Register your interest now to learn more about exhibiting and sponsorship opportunities. For any queries drop a mail to rupika.k@nispana.com and our team will be in touch with you.